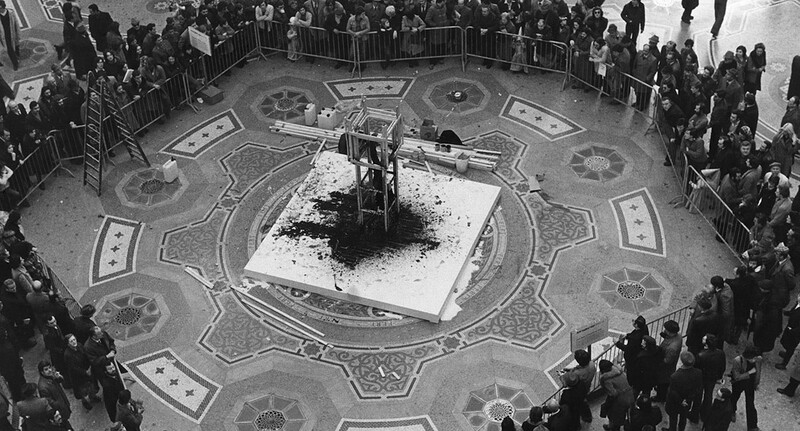 Stuart Brisley, Homage to the Commune, 1976, Performance, Palazzo Reale, Milan, photo by Leslie Haslam. On Saturday 13th February 2016 DRAF hosts a second day of talks and live performances in DRAF Studio, looking at the production and presentation of performances in institutions. This event will be streamed live, in partnership with This is Tomorrow. 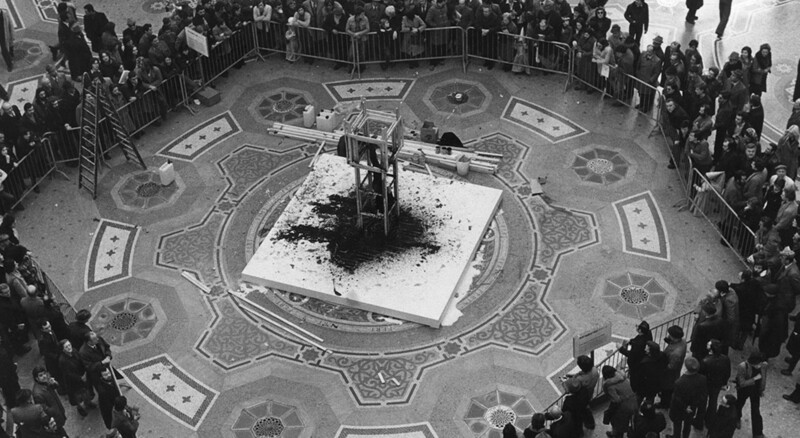 At 5pm, as part of the programmes, Louise O'kelly chairs a dicussion with Stuart Brisley, Edward Thomasson and Florence Peake, asking them to discuss their experiences of collaborating with institutions to develop and present performances. For more information and to see the rest of the programme, please click here.